As you may know, we are in the midst of our Indiegogo Campaign, concluding by June 5, 2018. We'd like to take this opportunity to explain to all existing backers how they can win cash by referring new backers. Step 1: Login to Indiegogo (you must have an account and have already backed us). Step 3: Copy the link and share it (email, post to social media, etc.). Remember that your link is unique to you, established by the final series of digits at the end of the link. 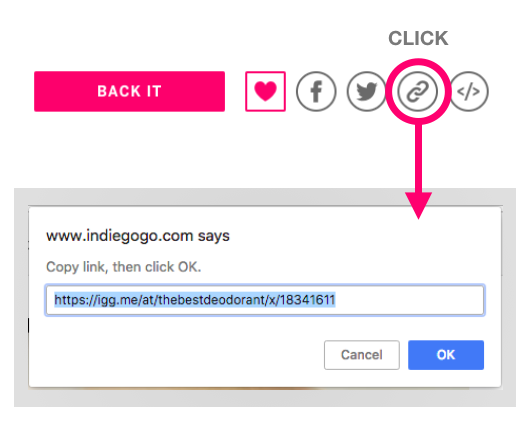 Step 4: Encourage others to click or share the link. When someone opens the link, they are taken to our campaign page. If any clicks result in a new backer, we give you a referral credit*. Step 5: Win Money $$$!!! Please feel free to reach out to us if you have any questions. All our love from The Best.